Last weekend, I had the opportunity to meet up with the lovely Brittany to shoot some engagement photos with her and her fiance Adam. Brittany contacted me a while back about engagement photos, and I figured it was the perfect chance for me to start working on my photography portfolio. I've been wanting to take more chances and, in turn, accept more photography jobs here and there, and I was so flattered (and giddy!) when she asked me to take their photos. And, honestly? It was such a wonderful afternoon. Brittany is one of the sweetest girls I've met, and I'm basically in love with her and her fiance. Is that weird? Well, guess what? I DON'T CARE. I'd like to see anyone meet them and not want to beg them to move next door. Honestly. Anyway, I had a lovely time wandering along the beach with these two. We ended up running through a few mud puddles, being judged by an old hippie surfer guy, giggling at another couple positioned in slightly inappropriate poses for their engagement photos and falling in love with a wee child who I pretty much wanted to kidnap (or maybe just borrow). How cute are they together? So adorable. I'm pretty sure I could just make a living out of taking engagement photos because being around people who are all in love kind of makes my life complete. Yes, her eyes are naturally that blue. Unfair, right? I know. It's generally upsetting. I've decided that I really need to start actively pursuing this whole photography thing. And although I'm always nervous before taking photos for people, I always end up being so proud of what I come up with. I feel like I'm slowly developing my own style and my own way of looking through the lens. It feels so incredible to have more confidence in myself. And I'm realizing that I never seem to regret taking a step out of my comfort zone. It's kind of amazing. I think you have a lot of talent. These photos are beautiful. Shoot, I'd hire you to photograph my wedding :) Not that there will be one soon! Beautiful photos! I hope you have many more opportunities to take more pictures because you have a great eye! seriously SO sweet! 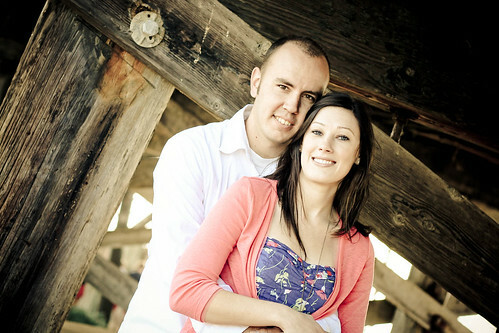 love your images, what a cute couple. These pictures are GREAT!!! They look so relaxed and like they're having a great time and you captured some incredible moments. Oh, and her eyes are beautiful as is her ring! Congrats to the happy couple! those are beautiful, you are a great photographer! I am loving all the lighting and colors. And... I really want her wedding ring. 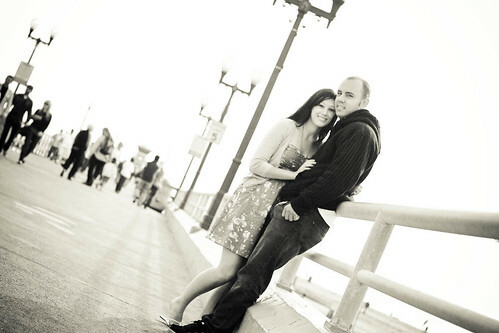 When I am in a relationship, I should just say to him, "Look up the engagement photos on yourwishcake.com, see her ring? Yep, if you want me, then I want that!!!" But I am glad that this is going well for you. If I was engaged right now, I would totally call you up! Or email you, because obviously if I had your phone number, that would be slightly awkward. Good for you to get out there!! These photos are amazing!!! these turned out lovely. if you love it go for it! you'll be awesome :). Wow, you have gotten SO good. These shots are all simply stunning! These are gorgeous. PLEASE take up a career in photography. The world needs your talent. Kerri darling, you have such talent! You already have such a distinct and lovely style in your photos! You, my dear, rock. Like woah. (and believe me I'm not just saying that because you're my friend.) These are so sharp, so full of style and character. I love them. You must do this again. And again and again. I don't know if you realize this but you have your own style with the colors and angles and that's awesome!! I'm running a market stall this weekend and I'm scared. these are fabulous. you are a fantastic photographer. & i am jealous. the end. You are a great photographer. I think lots of people will want you to take their photo! LOVELY photos. And wow, her eyes are beautiful! Kerri, you are so unbelievably talented in so many ways. Never doubt yourself, and always follow your heart, because it will never let you down. My favorite part about this photo session? The color scheme. I love the pastels and I think it really sets the mood! Now, come to North Carolina and do a photo shoot with us. Plzkthx. These shots are lovely and I looooove her ring! SOOO GOOOD!!!! I love, love, love your style! You should definitely do it more often and post more pictures! Lovely! I think the hardest part is peering over the ledge and wondering if you can take a tiny step to see how it feels, and you did it! With more practice, I bet it won't feel as strange/scary. You are a true talent! Can you indulge my question regarding what lenses you use? Wow! Those pictures are fantastic! Good for you! These are beautiful. the pictures are beautiful. i agree with stefanie. if we're ever on the west coast, we're hiring you to take photos. engagement, or not. definitely. These turned out SO lovely, Kerri! And am I surprised? Ummmm, no. It seems like everything you set your mind to turns out so well (do I sound like Mom right now? ), seriously! This is definitely something you should continue! These are REALLY great. Looks like you've been doing it for years! Beautiful my friend! I mean, are you kidding me right now? 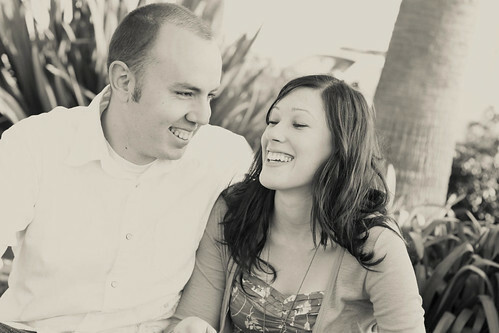 My first e-session was like, BAD... I mean... like, embarrassingly bad. I love these AND you did a fab job with the editing. You already have a photography identity and I love it. ;-) Keep 'em coming! The pictures are AMAZING. You did such a great job. I love the last picture. Keep it up! So cute, you are so talented. Would you be doing this as a career move? I think you should! You really do have a gift for photography. Best of luck to you, I can't wait to see your photography grow! You take really great photos! The dress is really cute, too! hah. oh, these are amazing, Kerri!!! I knew you had talent when it comes to photography, but all of a sudden it's like you ARE a photographer, with your own unique style and presence, your own way of capturing beautiful things. Seriously wonderful and amazing. You definitely need to pursue this, like everyone else has already told you. I love each of these photos... they're so filled with light and love. kerri these pictures are amazing, i love them. and i totally agree about her dress, it's insanely cute. Um, Kerri? These are seriously beautiful. I think it would kind of be a waste for you NOT to pursue this. Amazing photos! And yes, her dress is fantastic. Love it. You did a fantastic job with the pictures! I think you could totally do it as a career! Wow. Those are amazing pictures. You have SUCH a gift. That last picture is my favorite and will you do my engagement photos when it's time for me? ;) These are incredible. Wow! Your so great at photography. My friend is getting married in Oct and I think she may already have a wedding photographer lined up, but I know once she shes your work she would probably love to hire you. I don't think they have done engagment photos yet either. They live in Chino and are having a Vegas wedding. My BF and I have been together for a year(tomorrow!) and so an engagement and wedding are in our future. I want to hire you. We live in Huntington Beach. These photographs are just adorable. I love the style and love that you show with them! i'm really curious, how u edited the photos ? I'm always wanted to edit some of my photos to be soft color yet look a little old just like ur 1st n 2nd photo. absolutely wonderful pictures! If I had a wedding or engagement pictures to worry about I'd hire you!!! aww these are so good! Great job, you should be proud! Kerri! These are amazing. Fabulous job! These turned out so impressive, they are such an adorable couple and you can just sense the fun that you guys had doing this :) I feel like I can almost hear the giggles! I love that you have already formed a distinct style and having seen your photography evolve over time is really such an awesome thing, you should definitely be proud!! You have such talent and such grace in all of these photos.. You have a gift. what beautiful photos! YOU really captured the Love!! Beautiful job! You're so talented! My engagement ring is similar to the woman in this photo. What a gorgeous ring! I love the colours in the pictures! Very nice job! Kerri! These are GREAT. Way to go, you! You are so amazing! Those pictures are really lovely. I'm loving your style and I think it's really great that you are pursing what you love. Love it! So glad to see you pursuing something you enjoy & are so good at. Lovely! Keep at it, lady, and believe in yourself. You've got some talent! i know EXACTLY how you feel because i am in the exact same boat..slowly doing more paid gigs and accepting more shoots...wanting to take my photography more seriously but a bit...afraid...but enjoying it thoroughly when i do. agreed on the talent! you have a great eye! love the boardwalk photo as well. gorgeous. and so are you! Have you started charging at all yet?